Sun Station Records is proud to present Stereofeld’s second full-length album, the follow-up to 2013’s Frequenzwechsel. Stereofeld takes listeners back to good old times and places by delivering an album that draws its inspiration from an era when Scandinavia pushed the edge of progressive dance floors around the globe. Taking advantage of his obsessive audiophile tendencies and his ear for details, he opens his Soul Mirror to shine the light onto a world full of evolving melodies, bouncy grooves, and sunny afternoon vibes that entrenches itself deep inside the subconscious mind. Mastered by Colin OOOD @ The Stooodio, Bristol; cover photography courtesy of Robert Riddle. MP3 Download | FLAC Download | WAV Download · Download count: 23,382. That’s how prog should sound! Good old times can come back, if there’s soulful music again. Thank you for this present. This is what progressive psytrance is all about! Groovy and uplifting it really makes you wanna move your dancing feet! Track with no name, i like! 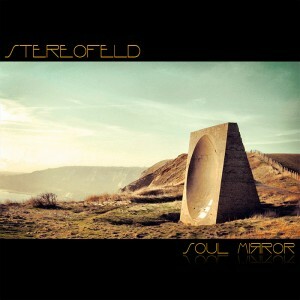 Awesome album, great work Stereofeld! Du, mein Stereofeld, bist ein junger Gott!! I love it, thanks for bringing back the memories! Your first album was superb & the second one is another bomb of beautiful stories. Tried less of the progressive psy trance, just realized what I’ve missed limiting myself to the downtempo. A new genre to explore starts with this, awesome work there, and the old one – absolutely fantastic. This album sounds just marvellous! You make really inspiring, uplifting and yet deeply relaxing music! I really recommend you to visit Germany’s “Waldfrieden Wonderland” Festival … can just imagine how wonderful it would be to hear your tremendously trippy beats while stomping around in that colorful forest near Osnabrück … that’d be epic! Superfantastic, just like the first album. This Music,Is What I Was Looking After And I Couldn’t Find It Since I Found “Man Of No Ego”. I love it! Thanks for the great music! Nachdem ich gestern zum ersten mal das neue Album Soul Mirror hörte und heute euer Album von 2013 bin ich begeistert. Das ist genau die Art Trance die ich mag. Nicht zu verspielt und überdreht, tanzbar und zum Träumen. Danke für das zur Verfügung stellen bei Ektoplazm! Man hört deine musikalische Weiterentwicklung heraus und die ist bei dem Album grandios. Die Augen zu und man ist in ner anderen Welt, fabelhaft. Still rocking this record, beautiful music that sheds fear from my heart, soul, and mind!